We will discuss major worldly events, investigate the power of talismans, dream interpreations and various omens. We will also discuss the best way for you to use Nostradamus natural healings and perform mini psychic and Astro-Tarot readings. But remember this radio show is primarly dedicated to our VIP's which will always be our first priority, thus join us to get our undivided attention and the best of our services! Our mission is to introduce you to the Cosmic Code and free your soul from fears and ignorance to help you develop more cosmic consciousness. You will hopefully, in time be able to perceive God, "Our Father in the heavens," in a new light and understand, heed and read the signs correctly, as the spirit intended for every one of us to do. You have been taught to respect the laws of physics, the rules of the road but now we are here to disclose a very old set of Universal laws that were kept secret from you. Those cosmic laws were cast aside, ridiculed and dismissed by the force of evil. Ignoring God’s higher order has brought this world to its knees, where fears; chaos and endless religious wars became the norm. Let's explore and enjoy this rare cosmic wisdom imparted by all the wise men of the past and rekindle humankind's spiritual renaissance through our inspiring radio shows. 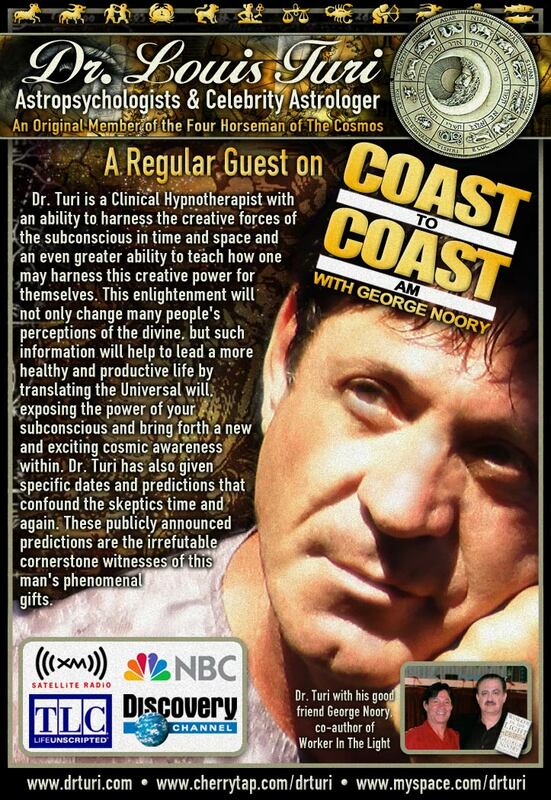 I have been on our friend, George Noory Coast to Coast am nationally syndicated show TOP predictor for years and I thank him, his producer Tom and other radio and TV hosts who invited me on their shows to share my gift. If you are a newcomer to our work, please do not assume anything just yet. Give yourself a chance to realize what you do not understand or fear today, can be clarified with time. Instead, upgrade your own cosmic awareness by making notes of all the predictions I will offer the listeners, then check my claims. Those who listen to all the debates carefully and, with an open mind, will be the ones who will learn the most in the long run, so patience is suggested! I am a legitimate Modern Prophet not because I say so, but because those who know me well can only confirm the values and reliability of my predictive work you will soon judge for yourself; and like them all, you learn to appreciate and trust my work! This show is dedicated to all the true prophets of the past and to a misinformed unconscious public in need of serious guidance and predictions. In a time where wars, conflicts, greed, misinformation, abuses and evil reign upon this world. We hope you will find in the "Cosmic Code radio show" (and website) the answers to all that is mysterious, all the while acknowledging God's Divinity speaking his eternal cosmic will through the signs we will faithfully and responsibly translate and share with the listening audience. Like the great prophet, Nostradamus, Dr. Turi was born and raised in Provence, France. Dr. Turi channels his own inner ET entity named Draco and warn the world of its impending fate with well documented predictions on radio and television. 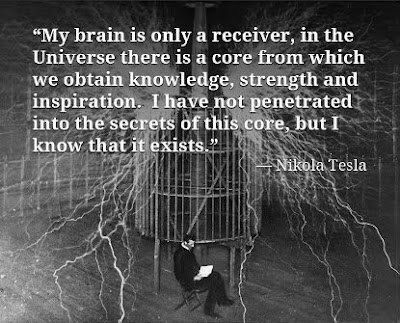 He teaches and speaks of all the secrets of the cosmic code to the world on the reality of UFO's. In 1976 he received the highest distinction Musicianship Award Cup and graduated from the Royal School of Music in London. He moved to the US in 1984 and has since established himself as a very successful Astrologer, Clinical Hypnotherapist, Author and Lecturer. Dr. Turi got his Doctorate from the Progressive Universal Life Church based in Sacramento, which is recognized by the California Board of Education and graduated from the Royal School of Music in London. 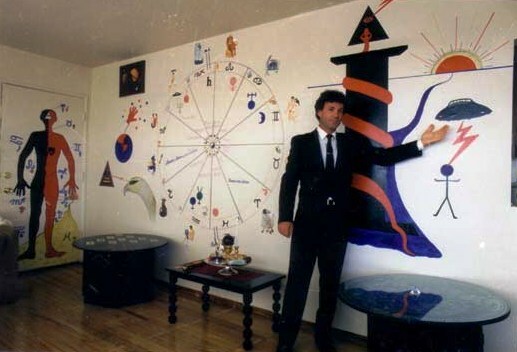 But his real talent, as a "Soul Doctor" and a Modern Prophet is; a gift he was born with and developed throughout his extraordinary, unusual rich life and its direct involvement with extraterrestrials! He challenges both traditional religious and scientific accepted disciplines through his controversial writings and highly spiritual inborn nature while teaching the world about God Cosmic Divinity! Dr. Turi has counseled many celebrities such as, Ivana Trump, Peter Fonda, Gary Busey, Denis Haysbert, John Gray and many others. 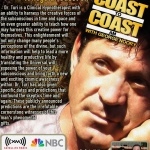 Dr. Turi is a favorite guest of George Noory on Coast-To-Coast AM radio and the BBC in London and appeared in numerous television programs worldwide. Dr. Turi is known for the hundreds of accurate predictions he made over the years, specifically 911, Katrina, both Asian tsunamis, tornadoes, large earthquakes and his utmost 1995 prediction of the current religious war currently experienced world wide on Art Bell radio show. He nurtures and guide thousands of VIP's subscribers from his private Cosmic Code website. Dr. Turi was recognized in the 2003 Marquis “Who”s Who in America” as an accomplished motivational lecturer speaker. He is one of the most *****read author on LinkedIn ***** and he has taught, entertained audiences on the power of the subconscious all over the world. LinkedIn now has 200 million members. Thanks for playing a unique part in our community! Recently, LinkedIn reached a new milestone: 200 million members. But this isn't just our achievement to celebrate — it's also yours. I want to personally thank you for being part of our community. Over the years, Dr. Turi spoke at countless Borders and Barnes & Noble bookstores nationwide, and has performed at numerous well known facilities worldwide including Las Ventana, a resort in Mexico and various cruise ships. Dr. Turi’s predictions and articles were featured in India and European top magazines, StarTeller. His articles are also featured in Australia’s magazine, New Dawn Magazine, and UFO Encounter Magazine. His predictive work also appeared in various newspapers and publications such as Los Angeles Times, La Jolla Light, Fate Magazine and Magazine 2000 in the US and Europe. Free Spirit Journal and Mystic Pop Magazine and UFO Enigma have also picked up his articles on the Dragon and daily forecasts. He has been featured on many national television programs such as NBC’s “Ancient Mysteries” series, and TLC and the Discovery Channel “Journal of the Unknown" and "More Than Human” to name a few. 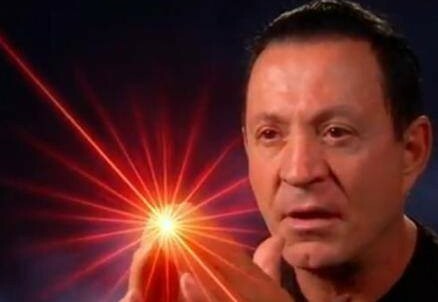 Dr Turi lectures on numerous topics but his forte is “The Power of the Subconscious" used to uncover human UCI (Unique Celestial Identity) to motivate people to be at their best using their natal gifts. Dr. Turi also lecture on the medical aspects of Astropsychology, Hypnotherapy and a multitude of rare Cabalistic Healing Therapy. Those natural health tips may also be discussed with those callers in need of help! Children can also benefit from this radio show as to avoid a repetition of the deadly Sandy Hook killing. The following is a list of previous lecture topics that you may find of interest. People can accurately judge or swear by my predictive gift only if they paid attention to my work and understand me. Until then a newcomer can only assume or be skeptical! Take the time to investigate our work in translating the Creator’s will upon mankind and understand the “Cosmic Code” by reading my articles. A wonderful experience your patrons wont forget and cherish all their lives. A fascinating piece of the whole puzzle is that my name Terania, which my mom made up...Is the Terania Creek Australian Rain forest and she was unaware of this as well as that there is a Terania St in New South Wales, AU... Which is actually not far from the exotic island in New Caledonia (Noumea), where my husband's sister lives. Well, I happen to come about 1 year after the strive for its freedom was occurring. Not only is that quite something but my middle name” Loray,” (Clocher del Loray - Doubs also in France ) happens to be the ancient African tribal group of the forest named “Mystical Thunder of the Gods” Voodoo; that played out on the drums, all the sounds which was reflecting the cry of the people who were striving for liberty during those very tragic times. 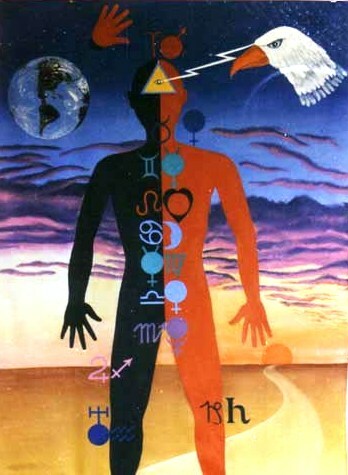 I am Terania Loray Turi and I can surely say that my inner “Tierra Nueva” has met with my water bearer for the elixir of life and together we give off original rays of all unique, rising suns as well as all worldly creatures a chance.